In the summer of 2011 we helped the Scandinavian country with the prettiest people of Europe to send them more Dutch clients. Or rather campers. Dutch families love camping, but the only direction seems to be south. As it their TomTOm is broken. Surprisingly, if you go north, you might sooner find what you are looking for. Space, Freedom, Clean air, No bundles of people piled together. And still the Swedish summers are way warmer than the grey Dutch season that sometimes seems to last from March till November. But what do mummies appreciate most, when making their decision of where to go next year? Will the children like it. 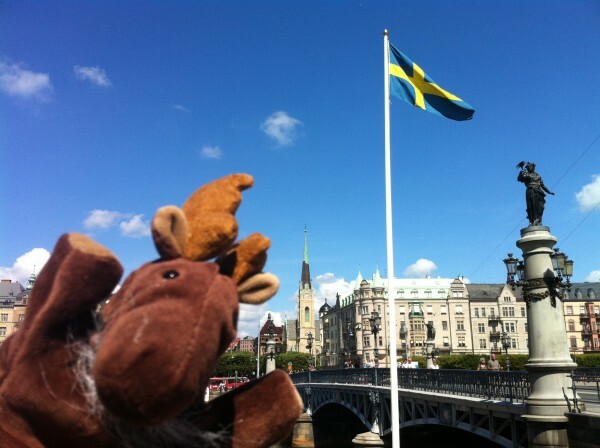 So we made this great campaign together with Lovely ideas introducing Sventje, the moose hand puppet that goes for adventures in the Middle of Sweden. It worked very well. It was step one. Watch the site here!